Databases are the backbone of the information age. The time has come to port them to the blockchain. 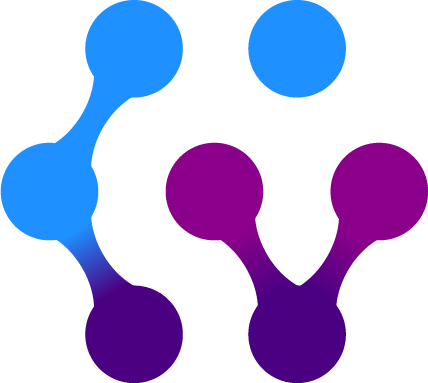 Just as the Internet is a public network of networks, CyberVein is a public network of immutable databases, on which information can easily be traded, interconnected, and transformed into structured knowledge. CyberVein allows multiple parties to process shared, distributed databases. Information maintained on CyberVein databases is immutable and protected from tampering, just like bitcoin transactions on the blockchain. No one, including parties to the database, can corrupt its records, delete it, or temper with its processing history. Databases on CyberVein are independent, yet can be easily connected, referenced, and hence monetized, resulting in a reliable network of authenticated, immutable information. All entries, modifications, and amendments to CyberVein databases are stored as appended smart contract transactions. This means that a CyberVein database automatically contains all previous versions of itself. The exact state of a database at a given time and date can easily be reconstructed, making it ideal for shared, immutable processing of data. CyberVein is designed to incentivize the sharing of data, creating an asset market for the future of the information age. Owners of Data can easily monetize it, while the amount of available resources for researchers, entrepreneurs, and public institutions increases by several orders of magnitude. Traditional blockchains are not designed to store vast amounts of structured data, especially if this data is being constantly processed by many participants in parallel. In order to build a network of decentralized databases, CyberVein has reinvented fundamental blockchain principals, transforming distributed ledgers into a powerful data management network. CyberVein improves on DAG technology and introduces a novel and resource conserving consensus algorithm. “PoC” - Proof of Contribution - incentivises nodes to contribute valuable storage resources instead of demanding futile machine efforts as it is the case with traditional consensus algorithms. The CyberVein ledger is fractally built as a network of independent, yet interconnected Smart Contracts. Contracts are designed as private ledgers, immune to irrelevant network congestion, yet able to easily communicate and exchange value and information. CyberVein modifies the Solidity smart contracting language, and optimizes it for data monetization and management. CyberVein’s disruptive potential can be realized anywhere vast amounts of data need to be processed immutably by several parties in parallel. CyberVein allows competing entities, such as pharma companies, big data providers, or machine learning researchers, to share datasets and to massively increase their efficiency, while preserving their independent economic interests. In the age of data-driven smart-governance, CyberVein’s transparent design allows to safely collect and process vast amounts of sensor information, without central points of control or failure. Sharing data and comparing results is the backbone of modern science. CyberVein introduces economic incentives for Universities and research facilities to maintain their heavy-duty datasets, and to make them publicly available for further research and development.